Zach Weinersmith and Sean Carroll recently blogged about subjective and objective morality (see Pankration Ethics and Morality and Basketball). Their ideas are interesting but I found their comparison of physical laws and moral laws with the rules of basketball and pankration confusing – both games are rather foreign to me. So I am taking the opportunity to clarify my own ideas about physical laws and moral laws. And whether such laws are objective or subjective. Today I’ll just present my understanding of laws of nature, and whether they need a “divine lawmaker” or arise automatically from reality itself. I’ll get on to “moral laws” later in the week. On the other hand, most religious apologists argue that the “laws of physics,” etc., need a lawmaker, their god, just as much as moral laws. After all, they argue, the fact that nature behaves in a rational, logical way is evidence of a god who has somehow injected that order into the natural world. I think there is a conceptual problem arising from at least partly confusing a completely human-made law – a rule which society decides and enforces, with a physical law or law of nature – some relationship of matter and energy which humanity has recognised through observation. Sure, the “laws of nature” are also human constructs but they do describe observations. They attempt to describe objective reality. In no way do humans instruct nature how to behave. Nor does any other being have to lay down such instruction to natural bodies and phenomena – they arise from the very nature of those bodies and phenomena. The laws of nature are descriptive – not prescriptive. They arise autonomously out of the way nature is, not the way we, or a divine “lawmaker” want it to be. We call them “laws” or “theories” because we have enough confidence of their general applicability that we can use them – even in new situations and places. Sometimes during their use we find they are faulty or incomplete. They might not describe reality properly or completely in new situations. Then we change the law or theory – usually by amendment or improvement. Sometimes, but rarely, by abandonment and formulation of a new theory. In contrast, philosophers of religion see their god as a lawgiver who prescribes physical laws. But modern science has made a lot of progress since abandoning that medieval idea. In fact, the scientific revolution and subsequent progress required ignoring such constraints which had no evidential support. Today we make no such assumption. Effectively we see the rational nature of reality arising simply from the objective existence of matter and it’s ability to interact. (Here I am using the word “matter” in its most abstract philosophical sense – not in a naive mechanical sense of substance). The interactions of matter/energy inevitably produces order of some sort or another. When we recognise elements of that order we often describe them in a scientific theory or physical “law.” These are human constructs reflecting the current level of knowledge, which is inevitably provisional. Open to improvement and refinement as we learn more. Most working scientist are probably philosophical realists. They imagine or assume that there is an objective reality that we can comprehend imperfectly. So they see the theories and laws they formulate as imperfect reflections of that reality. All theories and laws are inevitably incomplete – although over time we can improve them. But we don’t have to rely on a realist world-view. We can simply adopt and use theories and laws because they work. In effect we can be philosophical instrumentalists. While some philosophers seem to automatically classify instrumentalism as a form of non-realism I think this is too restrictive. Realists or not we all use the laws, theories and formulae because they work. Sometimes we have no picture of the underlying reality, or conflicting pictures (think quantum mechanics and its interpretations). Talk of objective laws or objective truths relating to our scientific or moral knowledge can be very confusing. 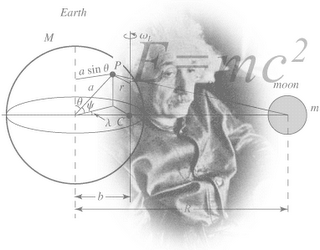 After all, can we describe our physical laws of nature as objective when they have actually been formulated by humans. Granted, they reflect objectively existing reality. But only imperfectly. That reality has been filtered through our perceptual and mental (and possibly social) mechanics to produce the law or theory. Perhaps it might be more exact to describe our scientific laws of nature as “objectively based” (in recognition of their incompleteness, imperfection and provisional nature). The laws and theories don’t exist independently of our consciousness (and culture). It is the matter/energy and their interconnections which have objective existence. Of course the objective laws and theories we have formulated are based on, derived from, objective reality but do contain elements of subjectivity (influences of our culture, etc). Science works hard to reduce such elements of subjectivity from its theories and laws. I think we need to understand what we really mean when we describe the scientific laws and theories of nature as objective. On the other had – what about the situation favoured by philosophers of religion who insist on a “divine lawmaker” which imposes its (his, her) laws on nature. 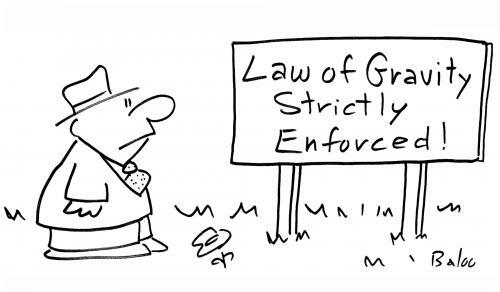 Laws which are prescriptive and not descriptive, as they are meant to be a dictation to inert matter and energy on how they should behave. Surely description of such prescriptive laws as objective is completely wrong. Rather than arising out of objective reality they are imposed on reality by some sort of intelligence. From the perspective of that intelligence these laws must be subjective – derived from its own whims and fancies. From our perspective they should also be seen as subjective, although we have played no role in those whims and fancies. The “scientific laws” of the philosopher of relgion, who see them as products of a divine lawmaker, must be completely subjective. In fact, even though we are talking of scientific physical laws and not moral laws, let’s bring in the bogey man of relativism. Given that in their scenario the physical laws can be at the mercy, the whims and fancies, of their divine lawmaker they must see these scientific laws a relative as well as subjective. Aren’t they actually being relativist when they claim that their “miracles” are real? That they are caused by something “supernatural” – suspension of the laws of nature. Their god, in her wisdom, has demanded that these laws of nature are suspended or changed for a time. Isn’t that relativism? While the subjective understanding of laws of nature enable such “miracles,” scientific understanding of laws of nature having an objective basis enables a non-relativist understanding. “Miracles” and “supernatural” phenomena which seem to defy the laws of nature simply show our imperfect understanding of reality. If the observations are valid they give an opportunity to improve our theories, to develop a better understanding of reality. Mind you, these days most claims of “miracles” and “supernatural” phenomena seem to derive more from credibility, falsehoods and poor observation than from any problems with the laws of nature. In my next post I will discuss the nature of moral laws – see Subjective morality – not what it seems?